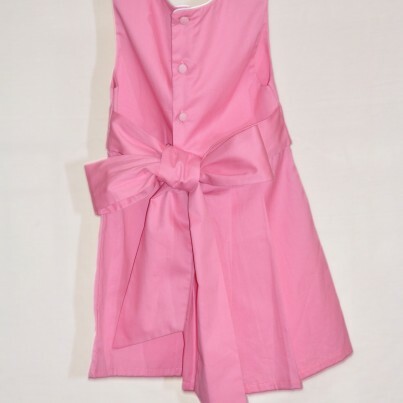 Pink dress with a ribbon that is tied in the back to a large bow. Three white/yellow flowers are embroidered in the front. Daisy has three folded pleats in the front and three in the back.